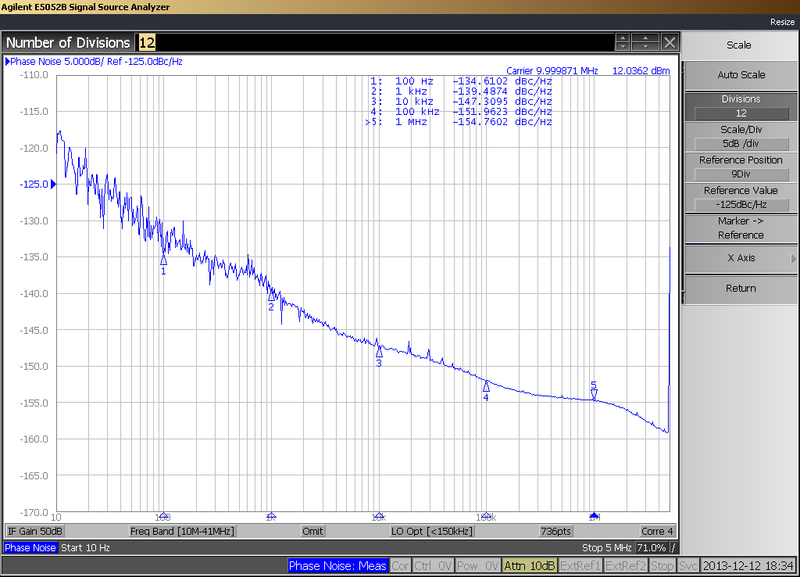 The Idea was to build a very accurate Reference Oscillator at much lower cost then a 10MHz Fequency Normal with OCXO. Another advantage is that it needs much less time to stabilize, appr. 5mins instead of 20-30mins. And it draws much less current. 1) GPS RX LEA5A/S UBLOX. By default the GPS RX delivers a so called 1pps, 1 pulse per second. By configuration this 1pps is then changed to a 800Hz square wave signal with 20% duty cycle. For improved stability navigation mode is set to stationary. 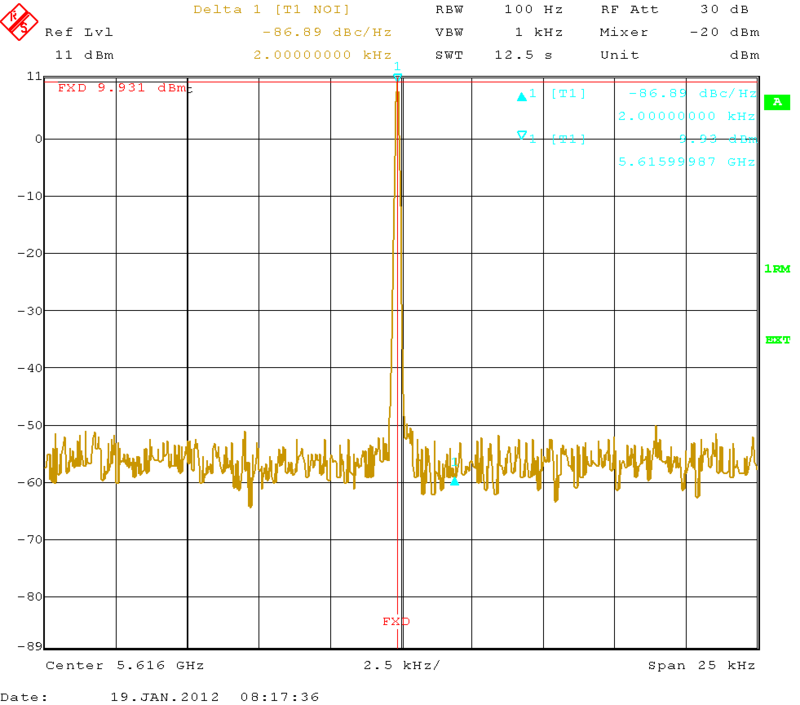 Cable delay is adjusted to 250nS, was best result with 5m cable at active antenna. The VCTCXO alone has a temperature stability of +/- 2,5ppm. The Output is divided and delivers 2 x 1,5V clipped sine wave. The higher impedance part is used for the PLL. The 10MHz of VCTCXO is divided down to 800Hz by 3 x 74HC390 This divided signal and the 800Hz out of the GPS RX goes to a phase comparator CD4046. It delivers a control voltage from 0V to +5V which is connected to the Vtune Port of the VCTCXO and it always tries to keep the both signals at same Phase and Frequency. The Loopfilter in the control voltage line is made as fast as possible,but slow enough to filter out the low frequency spurious from the PLL IC. It provides 4 Outputs with 2Vss at 50 Ohms. Each Output has a Low Pass Filter to get clean sine wave. SPA, Counter, PLLs can be direct connected to the Outputs. The GPS RX has an UART interface for the configuration settings. To convert this to RS232 (3 wire at SUB-D seriell) a MAX202 is used. Connect a Sub-D9 female according the picture below. If the backup battery CR2032 fails or has to be changed, the GPS RX needs to be new configured. The Software Ucenter8.0 can be free downloaded from the UBLOX homepage, for the installation the PC must be online. A detailed procedure in English or French to reconfigure the GPS RX you can found at "Price Lists" page. Also Datasheet and some more documentation for the LEA5 GPS RX are available at UBLOX homepage. From Juli 2015 the configuration is permanently stored in an Eeprom and battery is not needed any more. Until Layout is changed, this is done by use of a little adapter board. Adapter boards also are available to upgrade the old version with backup battery. A reconfiguration is no longer necessary.